Virtual reality experience with the 710 HC-L luffing jib crane. Liebherr 710 HC-L in action on the MoMA Tower in New York. 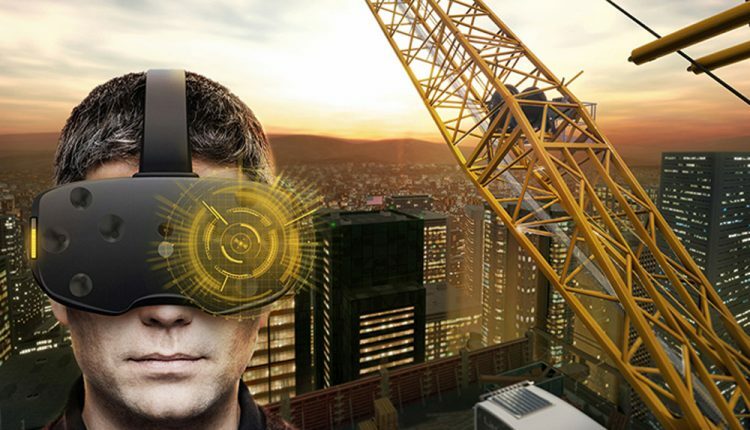 This experience is created with virtual reality goggles, which allow users to experience realistic construction site operations. Users can virtually move from the trade show stand directly to the city – at the site about 1,000ft. in the air – in front of the Liebherr 710 HC-L luffing jib crane. The game pad allows the user to navigate through the 3-D world. This experience allows visitors to take a look at the man-size hook up close, fly the crane’s jib or venture through urban areas and watch the traffic 1,000ft. (300m) below. This virtual reality application allows Conexpo visitors to experience the crane in a new dimension, including different weather conditions and different times of the day and night.